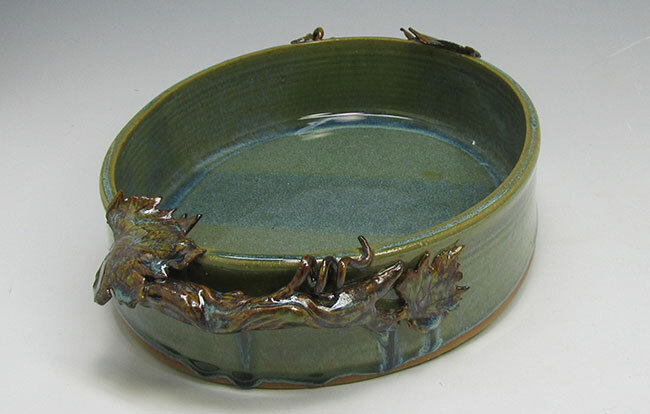 Grape leaves, stems and tendrils form the handles on this large oval baking dish. 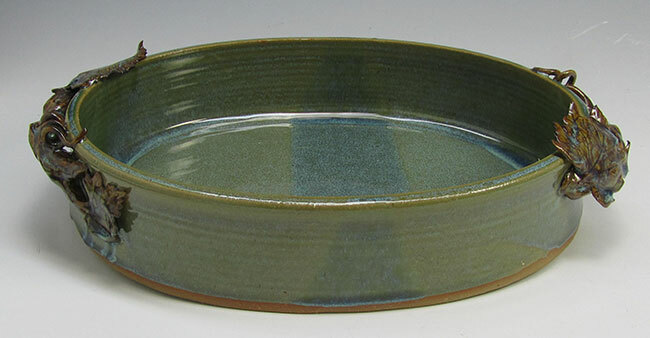 The glaze here is my favorite but a tricky one. 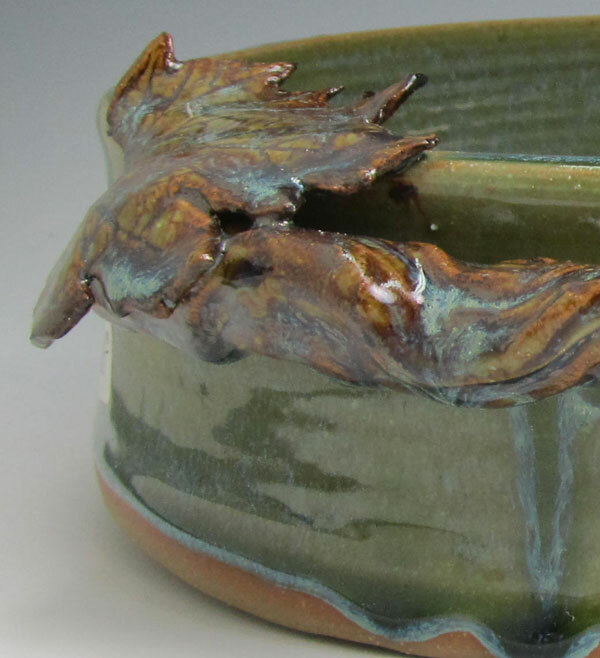 It requires a slow cooling process to obtain the turquoise that floats in the green.